The new expatriate tax law comes into effect 1 March 2020. However, many South Africans abroad believe that the law has not been legally amended and will thus not affect them. This belief is unfortunately incorrect, as the law change has been fully enacted. 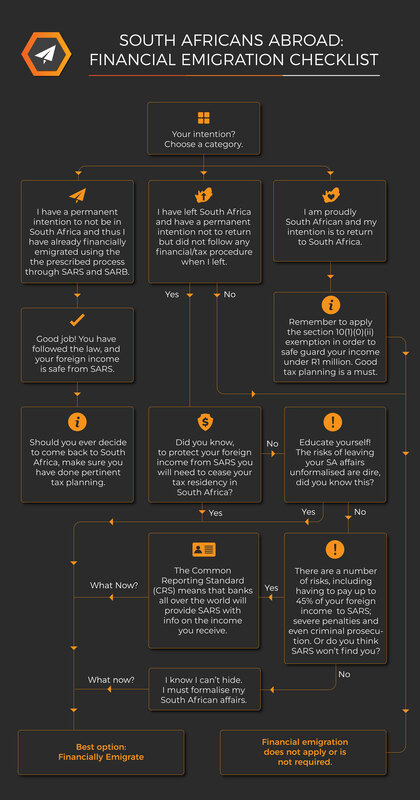 We have provided a concise breakdown of the tax law above to help you better understand the requirements thereof, and whether or not it is prudent to formalise one’s emigration through SARS and the South African Reserve Bank to protect foreign income earned from South African tax.